Comments : We were traveling and our dog got sick. The staff and Dr. Cron were excellent! They took us right away and got our dog treated and on the road to recovery. It was so wonderful to find a vet and staff that treated our dog as well as our vet and staff back home. 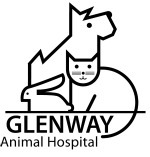 We would highly recommend Glenway to anyone looking for a quality, caring experience for their pet! Comments : Glenway Animal Hospital has been very helpful in the passing of both our family dogs. We just purchased a new one and from the first appointment they were very polite, courteous and the office is exceptionally clean. Comments : , CINCINNATI, OH My family has been going to Dr Cron & his associates for over 20 years. He has treated our Annie, Sweetie, Samson, Delilah, Beauty and Sadie. We would not be bringing our beloved furry children to anyone we did not feel gave personal consideration and excellent medical care to them. We feel they have been given the best care possible or we would not continue to patronize GAH. THANKS!!! Comments : It was January of this year that my husband and I had to make the decision to put down our dog Buttons. It was one of the hardest decisions we had to make. Brian tried everything possible to try and make her better. When it came time to put her down everyone there was so compassionate they know that a pet is just not an animal but a part of your family. Thank you for all you have done for us. Comments : I only recently came to Glenway Animal Hospital by chance when my cat Toby became ill on a Saturday. I was lucky enough that they were open and could see him right away. I had no idea just how lucky I was that my "furry baby" was about to be treated by such a wonderful group of people. Dr. Brian and the whole staff worked so hard to help my little guy. They called when they said they would call and were so friendly and helpful. They went above and beyond, and it is easy to see that they want only the very best for your pet. Unfortunately, things did not turn out well for my Toby, and his passing was merciful and peaceful thanks again to GAH. I will definitely be bringing Toby's brother, Foster, to GAH for all his future visits! Comments : I have been going to Glenway for a long time now and will never go anywhere else. I live about 1/2 hour away but still will not change. I recently lost my best friend in the whole world. Toby was his name and I only had him for 7 years, but though out them years he was sick and Brian and the crew help me though it and Toby did have a lot of great times in his life becuase of them. I thank you guys for that and I will never forget Toby or what they did to help us. I also have Casey which is 15years old and is great and Max and Sophie too. Comments : I just lost my beloved cat Sprinkles on Saturday and they stayed open later than usual to help me lay her to rest until the pines could come pick her up the next day. She was adopted age 6 from the spca and lived a good 15 yrs with me. This year has a particualary hard one - the dog and I have been staying with my parents for the last few months because my mom was diagnosied with ovarianc cancer stage IIIC unexpectedly. Its all I have been able to do take care of thier dogs, my dog and check on the cats every other day and get to the hospital has been overwhelming. I regret not giving as much devoted care as I could have to her this last year, yet but Brian comeing out to say she most likely hs a fast growing tumor and went very peacefully eased my mind considerably. Comments : I have taken my pets to Glenway Animal Hospital since 1969 when I got my first poodle, Shawnee. At that time, Dr. Fred Leininger was the owner and veterinarian. For the next 16 years and a second poodle, Shady, Glenway Animal Hospital and Dr. Leininger, who was great, provided all my veterinary care. In 2000 when I rescued Sophie, Glenway Animal Hospital was my obvious choice. By now Drs. Brian and Diana Cron were the owners of GAH. I just cannot say enough good things about Brian, Diana, Dr. Naas and the entire staff. I have been very fortunate that Sophie has not had many health problems. However, the few times I needed them for emergencies or just for routine check-ups they are always available to provide excellent care to her and great support to me! When I decided to rescue another dog in 2007, Brian always patiently read and responded to my steady stream of e-mails to him with all the hypothetical of "what if, and what do you think, do you think I should, and what about". In Novemeber of 2007 I "rescued" 1 year old Bailey. Unfortunately, Bailey had been tied outside in Toledo, Ohio for almost his entire life. All of the doctors were always available to see Bailey through all his health issues, some unfortunately that i inherited because of his prior poor living conditions. He had infected ears because no one cleaned them, and parasites because no one gave him fresh water. Later, he pulled a leg muscle while getting groomed, and he recently developed tonsillitis. Through all of this, every time I called or e-mailed them, they responded immediately. They have always calmed my nerves, answered all of my many questions and put me at ease, all the while providing excellent care to Bailey. I am also impressed with the follow up telephone calls to check on the patients. Today, thanks to the doctors and staff at Glenway Animal Hospital, Bailey is leading a happy, healthy life with his "sister" Sophie. As I tell everyone, Drs. Brian and Diana Cron and Dr. Naas are the best vets around and as good as you can get. As far as I am concerned you just cannot get better care anywhere. Comments : We have been taking our dogs (5 all together over the years) to Glenway Animal Hospital for about 9 years. Everyone from the receptionist to the vet tech to all the Dr's are the best! They have helped us in so many ways. Dr. Brian Cron came into the office from home at about 10 pm when our Buster had bone cancer and had to be put down. A vet tech drove Pepper (and us) to the Vet ER when we didn't think he would live to get there as they were concerned we were too upset to drive (we were). They always call to check on whatever dog happens to be in need at the time and have always been great to take the time to answer all questions and concerns. Whether you get Dr. Cron, Dr. Cron, or Dr. Naas, you and your pet will get the very best in care! Comments : I have been taking my animals to Glenway Animal Hospital (GAH) for the last twenty years. When Dr. Cron and Dr. Dornbusch-Cron took over the practice, I was immediately impressed with the doctor's and their staff's compassion and knowledge of animals. Dr. Cron even made a house call! Through the years, I have been very blessed to have the GAH doctors and staff caring for my animals. They have helped me several times through the difficult loss of a pet. I completely trust them with the care of all my animals. Over the last several years, they have even extended their care to not only my animals but my foster animals as well. Through fund raisers and veterinary care, GAH has helped me and Stray Animal Adoption Program (SAAP) rescue and to ultimately adopt over hundreds of stray animals. Glenway Animal Hospital is truly an asset to our community. Comments : What makes Glenway Animal Hospital special? The care delivered by the entire staff is wonderful; it is thorough and professional. And while that is important, it is the little things that the doctors and staff do that impress me and keep me coming back. The smiles and greeting by name whenever we walk in the door. Knowing that I'll get a prompt call back when I have questions or concerns. Getting a follow up call to check on a sick pet's recovery. The compassion, care and support when it is time to say goodbye to a beloved companion. This is why I have trusted the care of my four legged family members to the staff here since 1995. Comments : Over the past 11 plus years we have been taking our combined 9 pets and 3 rescue animals to the Glenway Animal Hospital. We have encountered many scary situations with our pets. Dr. Cron and Dr. Dornbusch have always been helpful, competent, sensitive, expressing concern whether spoken or not. They both have always put the care of our animals first. The staff at Glenway Animal Hospital is excellent. They are always caring, concerned, highly trained and very knowledgeable. The animals get good care and a lot of TLC from the staff. That makes us feel anxious when we have to leave our pets for the day or overnight. We have recommended Glenway Animal Hospital to friends and neighbors. They agree with our glowing opinion about the Docs and Staff and the overall care their animals receive. Our animals are part of our family and they very clearly get treated that way at GAH. Thank you for being there Glenway Animal Hospital. Comments : When we first moved to the Westside, we didn't know which vet office to choose; there were so many in the area. We called a few of them and you guys really stood out. The young man who answered the phone was very friendly and offered to send some info about your facility. He sent the info and we were really impressed, so we began bringing our 2 dogs and 3 cats in. Everyone is extremely courteous and we have come to feel that you guys are more than just our vet clinic. You've become friends. In fact, when one of your staff, Burgundy, left to pursue her career, we were sad to see her go. We still really miss her. The quality of care given to our animals is excellent. Dr. Cron and his staff really know their business. I feel very confident that our pets are getting the best care available. A couple of our animals have had long-term conditions that required extensive care and visits to specialists. Comments : My husband and I have been part of the Glenway Animal Hospital family for many years. The doctors and staff will do whatever is needed to make sure that our animal companions are with us for as long as possible. Their knowledge and perservance when treating our animals is without bounds as is their compassion and sensitvity to both their animal and human clients. We simply would not trust the care of our animals to anyone else. Comments : My husband had been taking his dog, Sammi, to Glenway Animal Hospital for several years before we got married. I had pets as well, and had been going to another vet for many years. After we "merged" our families, I started taking my pets to GAH and found Dr. Diana and Dr. Brian to be friendly, professional, very thorough, compassionate and empathetic. It has been almost ten years now (14 for Sammi!) and we are very thankful to have such great care available. I feel our pets are their pets! Comments : Hello Everyone, Thank you for all of your kindness regarding our little Midnight. We were so touched by your care.